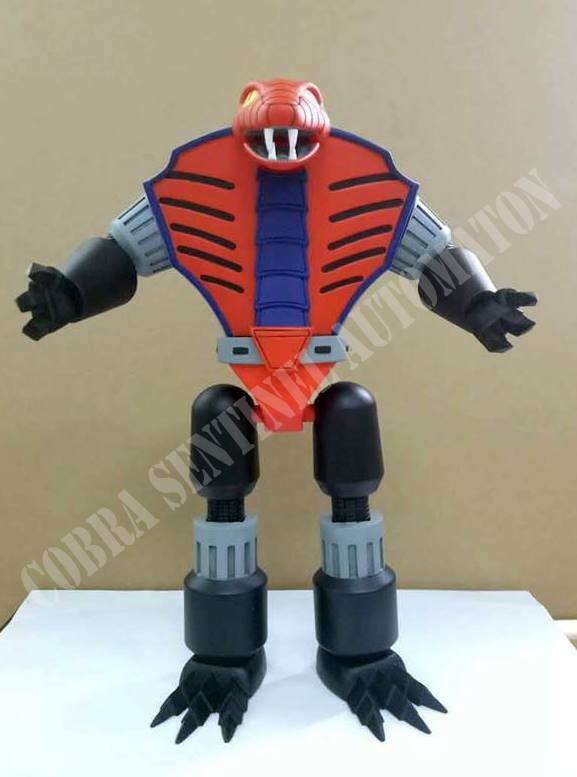 Coming soon to Kickstarter: the Cobra Sentinel Automaton project! Remember the Cobra Sentinel? 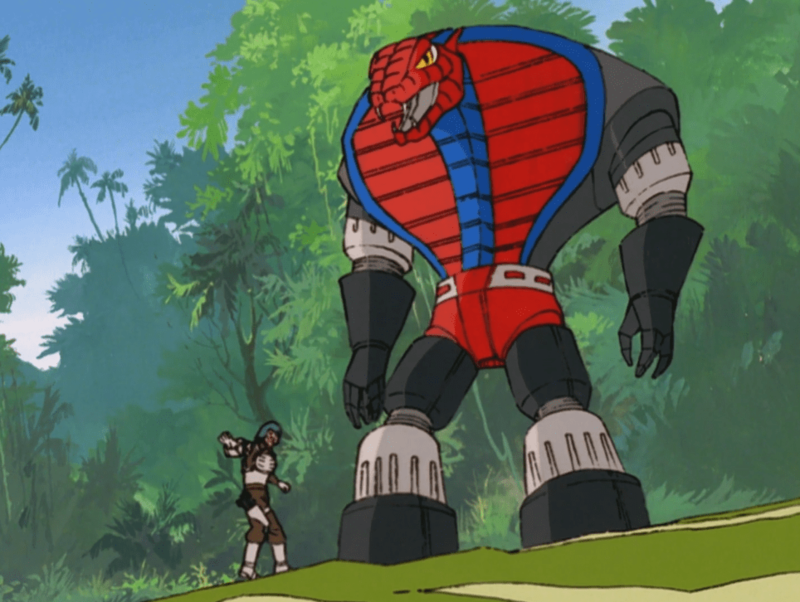 The giant snake-themed robot that went mano-et-mano with the giant temple guardian? The mechanized monster just blew me away. As a kid, I had to have one but sadly it was not meant to be. The automaton that towered over Major Bludd existed only in the cartoon and was never produced in action figure form. However, that is about to change. Enter Tony Carillo, Freeman Slavens, and Dennis Plourde. This trio of super fans have teamed together to bring Cobra Sentinel, a robot that evokes the spirit of the automaton seen on screen, to life. Debuting on Kickstarter starting on April 12, 2017, the Cobra Sentinel Automaton Project will be seeking funding to produce a limited number of these towering titans of titanium! 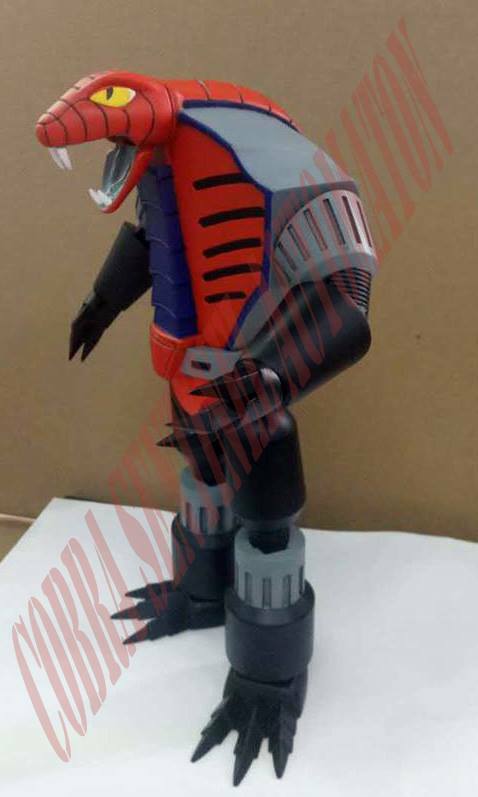 Over on Facebook, these fans started the Cobra Sentinel Automaton! 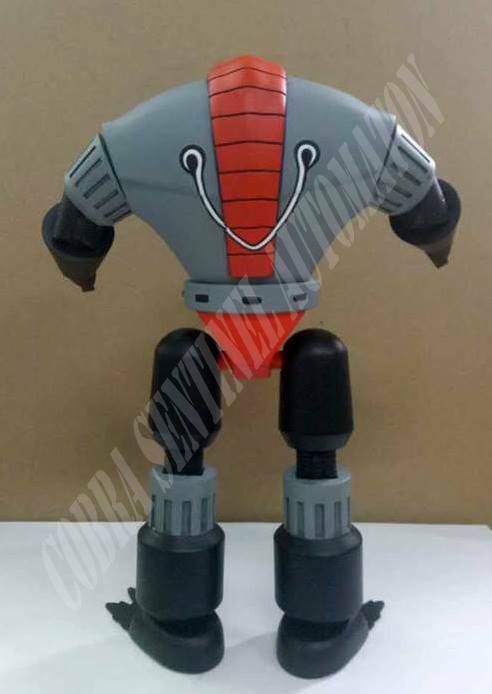 Kickstarter Group to first gauge interest in the project and then to reveal what could be considered one of the most jaw-dropping teaser images for a fan-produced prototype Joe tie-in yet. 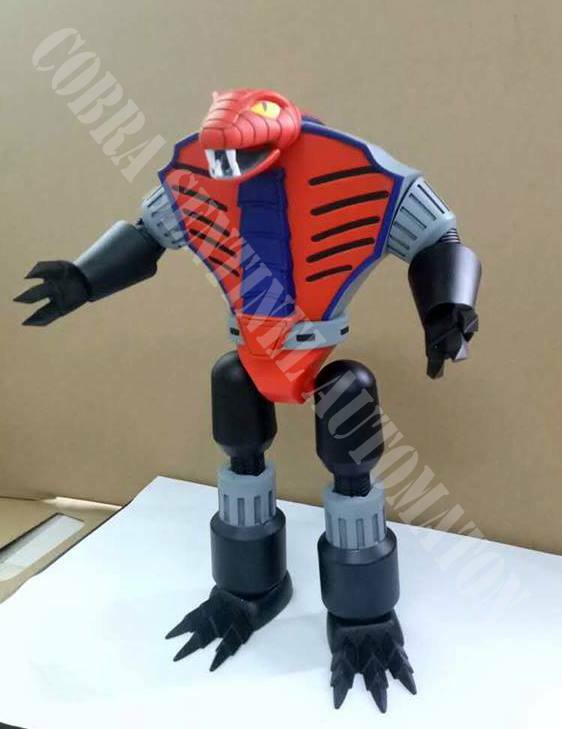 According to Tony, the Cobra Sentinel Automaton is slated to stand roughly 10 inches tall and should have articulation at the head, mouth, shoulders, elbows, wrist, knees, and hips. For a pledge of support of $125.00, fans will receive a Cobra Sentinel Automaton action figure, file card and vintage-style blueprint. However, this will only occur if the project is successfully funded! 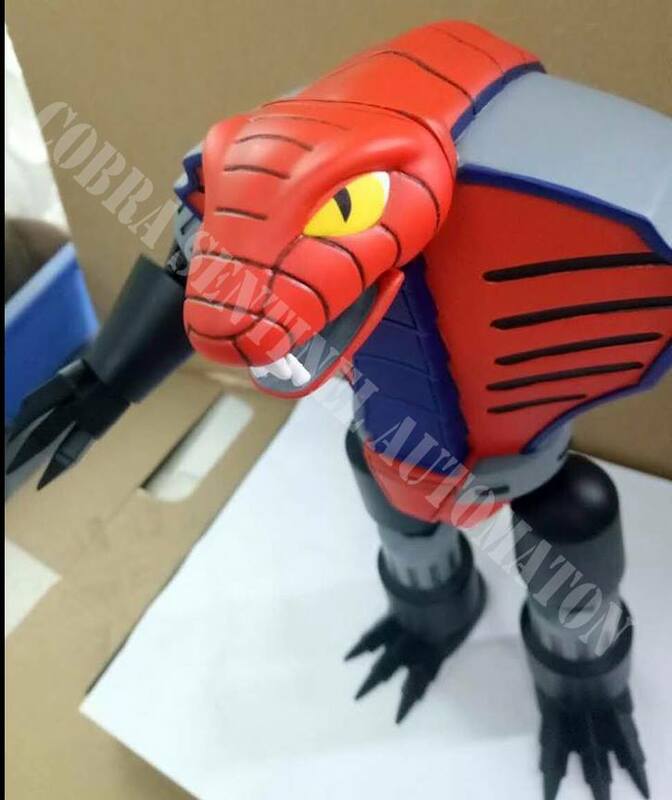 To learn more about this exciting project and to stay abreast of the latest updates, head on over to the Cobra Sentinel Automaton! Kickstarter Facebook group and join today! EDIT: The project is now LIVE ON KICKSTARTER! I cannot wait for this project to be successful and to have one of these bad boys in hand. “Destroy and retrieve” indeed, Major Bludd! 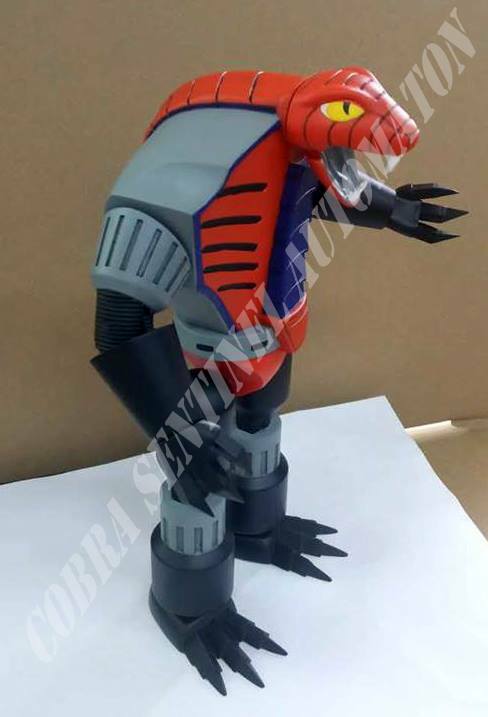 This entry was posted in Fandom, Toys and tagged 1:18 scale, A Real American Hero, animation, Cobra, Cobra Sentinel, fan project, Kickstarter, Palace of Doom, Sunbow by Fred Meyer. Bookmark the permalink.